Comodo Internet Security has the ability to concurrently run several tasks like on-demand or scheduled scans, virus signature database updates and so on. 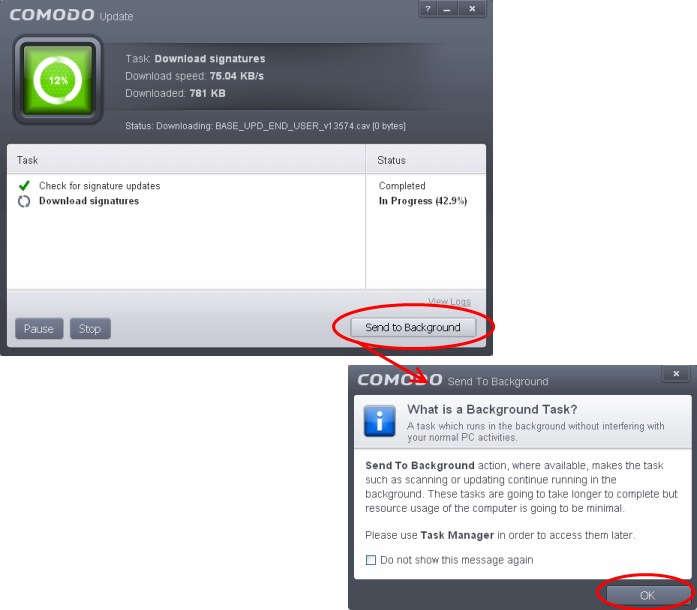 The tasks that are currently run, can be sent to background from the progress interface, by clicking Send to Background as shown in the example below. 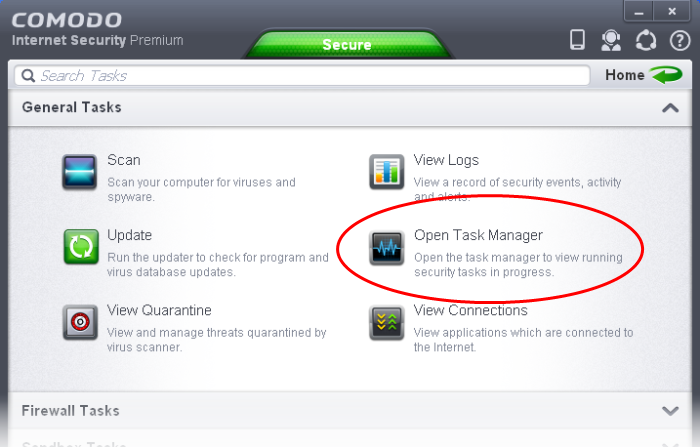 These tasks can be managed through the Task manager interface that can be accessed at anytime by clicking Open Task Manager from the General Tasks interface. Tip: The Task Manager can also be opened by clicking on the center tab in the Status row of the the widget that displays the number of tasks that are currently running. The Task Manager window displays a list of background tasks that are currently running with the details of time elapsed on each task, status and priority. The Priority column in the Task Manager interface displays the current priority assigned for each task. Click on the current priority and select the priority you want to assign from the options. 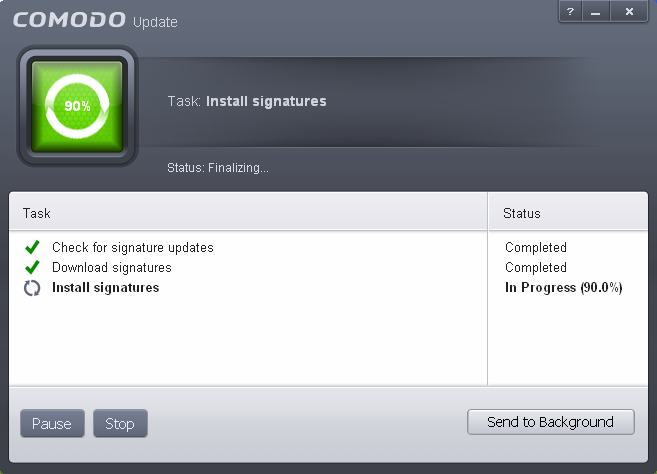 The progress window of the task will be displayed. If the task is completed, the results window will be displayed.